When the locals are telling you it’s too hot and lizards start talking to you then you know it’s too hot. There’s nowhere else to go for Captain Sensible than under an umbrella and use the pool regularly to cool off. There’s a shower where you are supposed to wash off sweat and sun cream before plunging into the sweet cool water but no-one bothers with it. I have two vanilla milkshakes, but do some widths as a token recompense. I reflect on the wisdom of uninstalling MyFitnessPal app off my phone before I came out (I’m too tight to pay the charges every day for keeping the phone on the network anyway). Lunch as usual consists of crisps, crackers, coleslaw, cheese and Coke Light on our balcony. If I can find anything else begining with the letter ‘C’ I’ll throw it in the mix like some kind of crazy Sesame Street resident. Cornettos are always an option. I finish ‘Northen Lights’ and like a virgin touched for the very first time crack on with ‘Headhunters’ and thus pop my Jo Nesbo cherry. Later we amble through the heat to Chris’s for USA versus Germany (and Portugal versus Ghana one a few of the eight or so screens available). 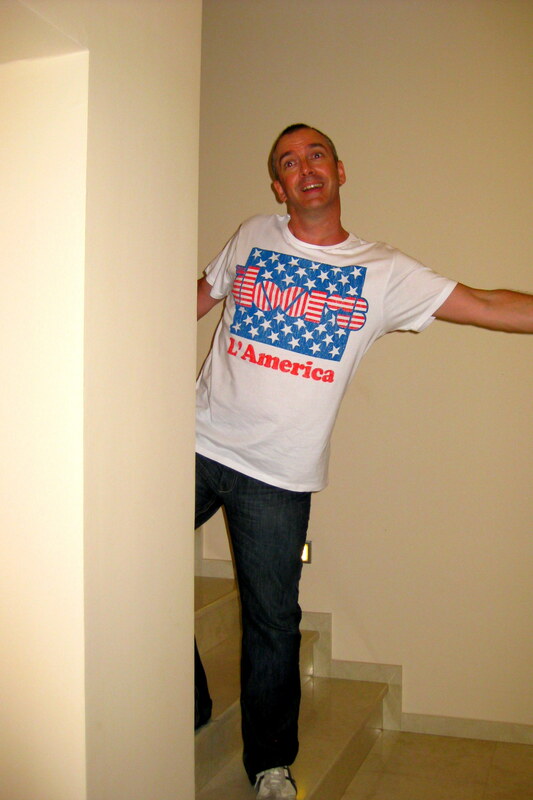 I am taking the opportunity to pop my Stars ‘n Stripes cherry by wearing a L’American Doors tee-shirt. Prior to this ground breaking decision I have always avoided anything with the US flag on it. I am not a patriot (I won’t elaborate). I am wearing the tee-shirt because I randomly picked Team America in a World Cup sweepstake at work (along with Ghana and Switzerland). If I could have found a Ghana tee-shirt in Primark I would be wearing that, but I like The Doors. Really like those cheese wedge hats the Swiss fans were wearing too. At nine we try and get into copyright infringement experts preferred nibble station Ratatouille, but as they say in America ‘no dice’. I hate that pesky rat anyway. 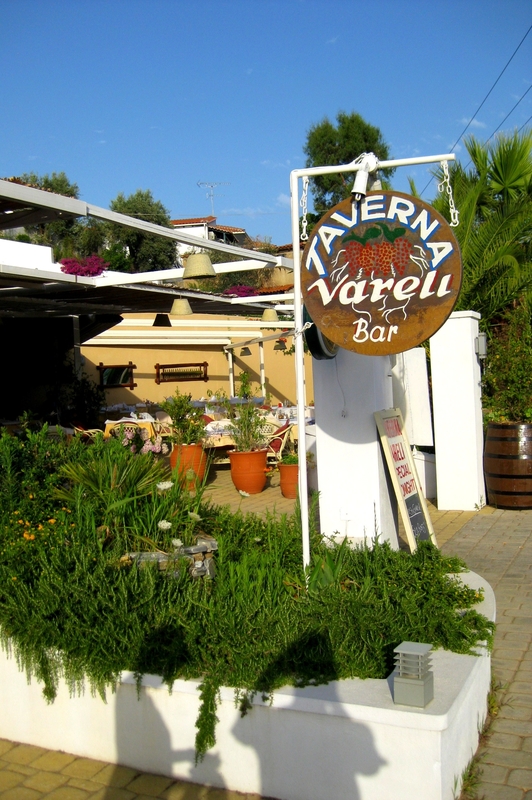 Instead we go to Vareli’s taverna. I have a good chicken kebab, more Coke Light and water. It’s too hot for Mythos. Somehow the food leads us continue our non-beer alcoholic odyssey (I wonder if I might need to check into a rehab clinic when we get back to Blighty) – we go for the expensive cocktails on Victoria’s list – Long Island Iced Tea and a Mojito. Both are exceedingly strong and take most of the Russia versus Algeria match to drink. We chat to some first-timers who are here for one week and try to condense three holidays worth of knowledge into useful advice so they can make the most of Skiathos. I helpfully tell them that they should have come for two weeks and then reel off my top tips. They politely bathe in our enthusiastic glow, or maybe that’s just our combined sunburn radiating protein fuelled heat.